There's a stack of a dozen or more draft posts I have that need some work before they're ready to publish. The past few weeks has involved a lot of travel and an insane number of funding opportunities all coming due within a couple of weeks of each other - that all need competitive proposals written. So, when I hear of something interesting, I create a placeholder post with links or short notes, intending to flesh it out when I have a few minutes,typically later at night. But after an 18-hour, overnight trip from Tucson to Buenos Aires, bed is starting to sound pretty attractive at an early hour tonight. It's winter here - the whole continent seemed clouded over this morning and BA has been socked in all day. The sun set here not long after 5pm. I'm in my hotel lobby in downtown Buenos Aires, waiting to meet up with colleagues here for the OneGeology and associated meetings. Answering emails and checking the status of Arizona state budget negotiations. But the item that caught my attention is a post from fellow geo-blog Archea that reports that the Institute for Reproductive Studies in Scottsdale, Arizona, has been experimenting with frozen mice sperm and the results could lead to creating a new line of mammoths from frozen sperm found in Siberia. 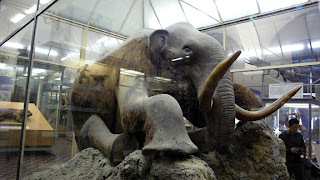 Now, Archea doesn't say that the Scottsdale group is pursuing this avenue of research, but does say "scientists are now experimenting with sperm from mammoths preserved in Siberian ice" in the same sentence as the mice sperm. 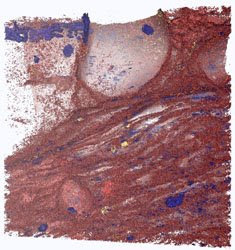 It looks like the Archea post is drawn from one on ScientificBlogging.com in April that I hadn't seen, and which posted the photo above. The annual meeting of the state geologists (AASG) wrapped up Wednesday night and it’s clear that state geological surveys across the nation are generally hurting from the economic mess. A few of our colleagues are not only surviving but thriving. Ed Deal from Montana described the new building on the Montana Tech campus in Butte that they will move into by January. Their state legislature has also appropriated around $5 million for the Survey to work on groundwater problems. In Arkansas, State Geologist Bekki White is hiring more staff to run the state’s expanded seismic network and work on earthquake hazards. But these are anomalies. Just a week ago the Ohio Survey was told to prepare for a 30% budget cut in the fiscal year starting next week, and to be zeroed out completely a year later. The staff is still coming to terms with this bombshell and considering options for institutional survival. Surveys in other states are dealing with a range of budget reduction strategies – hiring freezes, loss of positions, layoffs, furloughs, cuts in operations, closures of facilities, and salary reductions. We spent part of an afternoon discussing ways to deal with these cuts as well as strategies and techniques for making sure Legislator and administrators understand the impacts of cuts and make informed decisions. Here in Arizona, AZGS has taken about 20% reductions in state appropriations in the current fiscal year and the Legislature's budget takes another 10% on top of that for the new year starting July 1. So far, we closed our Phoenix store and not filled vacant positions, but we've been able to avoid other layoffs or furloughs. What the new year will bring is uncertain. The newly formed Senate Western Caucus introduced legislation that "encourages development and the use of all energy resources, including wind, nuclear, oil, natural gas and clean coal," according to a short note in the Casper (WY) Star-Tribune. The caucus is comprised of Republicans from Arizona, Wyoming, Idaho, Utah, Nevada, Kansas, Nebraska, and Louisiana. the caucus opposes federal intrusion in the everyday lives of Americans and opposes legislation that pushes economic progress through huge spending and strict environmental regulations. The geospatial data clearinghouse bill passed the Arizona House Environmental Committee this morning and is expected to go to the full House on Friday (or even earlier). It previously passed the Senate. Among it's provisions, SB1318 will effectively "Establish a clearinghouse of information and a central repository for geospatial data and statewide geographic information system services" in part by removing restrictions on sharing of state data. 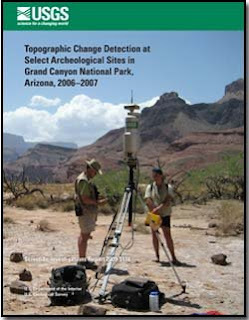 It also formalizes the Arizona Geographic Information Council. 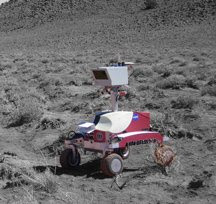 For the past 10 days, NASA's K10 robot has been roaming around Arizona's Black Point lava field as a test of the remote controls needed for the Lunar Electric Rover that will be a recon vehicle when we return to the Moon. You can follow the daily progress of the tests at the Robot Recon web site. The current test runs through June 27. 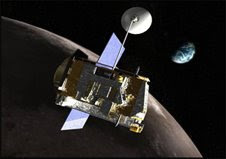 SpaceRef.com says that "Among the instruments carried on LRO, the Lunar Reconnaissance Orbiter Camera (LROC) will acquire high-resolution stereo images that will allow the USGS to create detailed topographic maps of specific sites. USGS maps can be used to prioritize which sites are of the most interest, to guide robotic spacecraft or astronauts to safe landings, and to plan surface operations, including roving and possibly construction on the surface of the Moon." Scott Tinker, State Geologist of Texas, and the president of the American Association of Petroleum Geologists told the state geologists (AASG) annual meeting this morning that he projects global oil production is just about to plateau at a rate of 85-90 million barrels today [right, lower graph]. This is a lower rate than predicted by the National Petroleum Council and the DOE Energy Information Agency. As a result, he sees oil declining as a per cent of total energy consumption to about 30% by the year 2030. 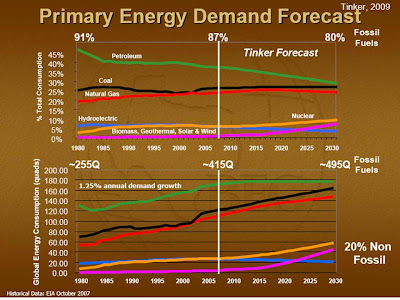 Natural gas is expected to replace oil to meet fossil energy demands. After Scott's presentation, Colorado State Geologist Vince Matthews briefed us on natural gas production. Vince showed that 90% of natural gas consumption worldwide has occurred since 1964, with 50% of global consumption since 1990. He offered detailed production results that raise concerns whether natural gas production will be able to meet increasing global demands. 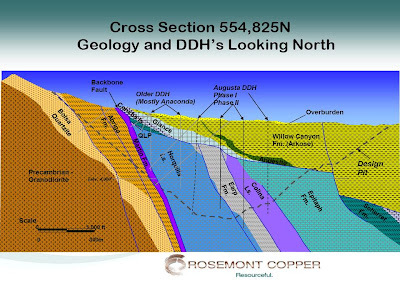 Obama Administration switch on Resolution Copper land exchange? The Senate Energy and Natural Resources Committee and the Subcommittee on Public Lands and Forests held a hearing June 17, on Senate Bill 409. Senators Kyl and McCain are reported to be complaining that the U.S. Forest Service and the Dept. of Interior changed their stance on the bill and are now raising concerns about Native American opposition to the project. In addition, Globe newspaper says Subcommittee Chair Ron Wyden projects 2-3 years to evaluate the project, rather than one year as supporters hoped for. The word here at the State Geologists' meeting is that a new director of the U.S. Geological Survey has been selected and the public announcement is expected in the next 2-3 weeks. There have been no rumors or insider information leaked about the selection, in contrast to previous USGS appointments. Even now, there are no names circulating about who the nominee is. Yesterday, Acting Director Suzette Kimball told us she was looking forward to returning to her permanent position. A paper published in the latest edition of Nature describes a process called "creep cavitation" that the authors say is the first direct observation of fluids moving through the mid-crustal shear zone. 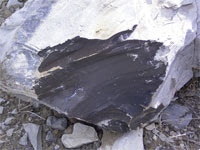 "We are seeing the direct evidence for one of the processes that got ore forming fluids moving up from the mantle to the shallow crust to form the ore deposits we mine today, it is also one of the mechanisms that can lead to earthquakes in the middle crust," co-author Dr Rob Hough said. The Arizona House's approved legislation to allow abandoned mines to be filled with used tires, but requires them to be covered by 10 feet or more of rocks or dirt. HR2278 now goes the Senate. 1. The state fire marshal or the marshal's designee. 2. The director of environmental quality or the director's designee. 3. The director of water resources or the director's designee. 4. The director of the department of mines and mineral resources or the director's designee. 5. A representative of a county waste tire collection facility. 6. At the inspector's discretion, one or more representatives of the mining industry or related commercial enterprises. A new technical paper in Nature argues that warming of the lithosphere is a "powerful mechanism" for driving uplift of the Colorado Plateau. Mousumi et al, say that "warming of the thicker, more iron-depleted Colorado Plateau lithosphere over 35–40 Myr following mid-Cenozoic removal of the Farallon plate from beneath North America, is the primary mechanism driving rock uplift." 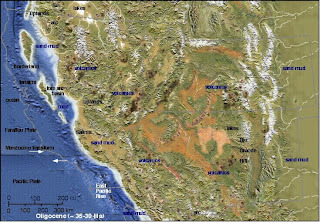 [right, Middle Tertiary (Early Miocene) Paleogeography, Southwestern US (20 Ma), from Ron Blakey's NAU site]. 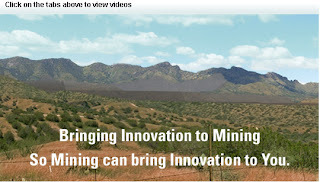 In a move viewed as intended to halt the Rosemont copper mine [right, credit Rosemont Copper], U.S. representatives Raul Grijalva and Gabrielle Giffords introduced legislation (HR 2944) in Congress to withdraw all federal lands in Pima County and certain other lands from mining and geothermal leasing and development. This follows President Obama's announcement a few weeks ago that the federal government is investing $375 million of stimulus funds to pursue geothermal energy exploration. 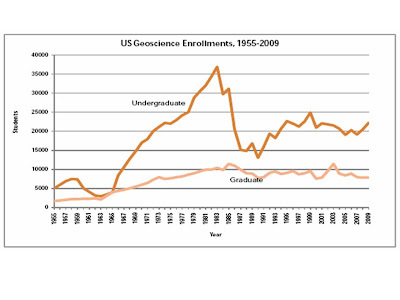 Pat Leahy, Executive Director of the American Geological Institute, told the state geologists' annual meeting this morning that "the 2008-2009 academic year saw a sharp 8% increase in the number of geosciences undergraduates enrolled in U.S. institutions, to a total population of 22,191." 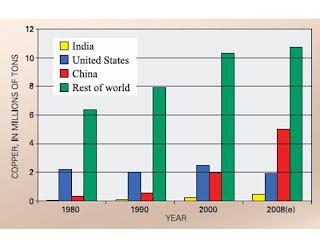 AGI subsequently released the latest issue of Geoscience Currents, which documented these numbers [right]. I've contacted AGI for Arizona-specific data. I was on the road the end of last week and spent a couple days at our family cabin in Wyoming where we had no tv or internet. But coming back to the electronic world I see the local news starting the countdown to the end of the State's fiscal year on June 30 and the possibility of a shut down of state government. AZGS, along with all other state agencies, submitted to state planners, a list of "essential services" that would have to continue to operate if a budget bill is not in place. But the definition of what's 'essential' is extremely narrow - constitutional mandates, voter-mandated activities, and court-ordered functions. None of AZGS's activities fall in these areas, so we expect AZGS will shut down completely until a state budget is approved. A new USGS report address the "continuing debate exists on whether and how controlled releases from Glen Canyon Dam, ...are impacting rates of site erosion, artifact transport, and the preservation of archeological resources" in the Grand Canyon National Park. The authors warn that "Continued erosion of archeological sites threatens both the archeological resources and our future ability to study evidence of past cultural habitation." In conclusion they found that "distribution and magnitudes of surface change are specific to each site and that a thorough understanding of the geomorphology, weather, and sand supply is requisite for a complete understanding of the data." And as many studies discover, more work is needed. 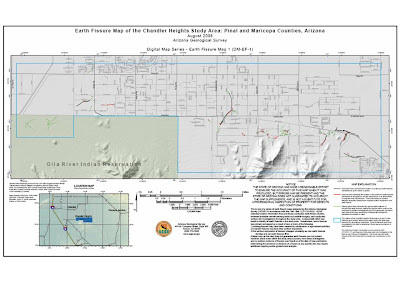 Ref: Collins, B.D., Minasian, D., and Kayen, R., 2009, Topographic change detection at select archeological sites in Grand Canyon National Park, Arizona, 2006-2007: U.S. Geological Survey Scientific Investigations Report 2009-5116, 58 p. [http://pubs.usgs.gov/sir/2009/5116/]. The Arizona Appeals Court dismissed a lawsuit against real estate agents by a property buyer over Earth fissures, because there wasn’t evidence the agents knew about the hazard, according to an article in the Arizona Republic. As I read the article, it wasn't clear whether this is a significant statement about liability or rather it refers more to the adequacy of the complaint by the homeowner. I'd like to see more legal analysis of the court's decision. 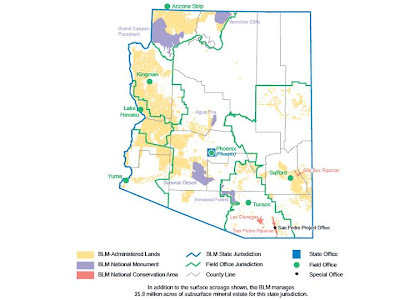 State law passed in 2006, protects real estate agents from liability if they use or refer buyers to the AZGS Earth fissure maps for an area, and AZGS made the Queen Creek area our first priority. Mineweb.com reports that former Nevada State BLM Director Bob Abbey has been nominated by President Obama to be the new director of the Bureau of Land Management. They say Abbey has been endorsed for the director's post by Senate Majority Leader Harry Reid, D-Nevada, the Public Lands Council, and 15 state and national livestock associations. The BLM manages more land-256 million acres-than any other federal agency. 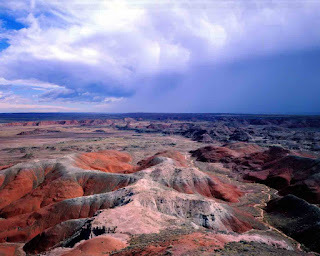 The lands are primarily located in 12 western states. 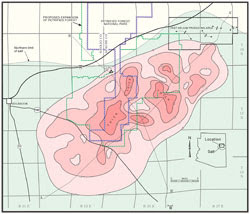 The Bureau administers 700 million acres of subsurface mineral rights throughout the nation. The Chinleana blog posted the abstract for a paper in the June issue of the Journal of Vertebrate Paleontology describing a new dinosauromorph in the Late Triassic in Arizona and Texas. The journal is not yet available online. The figure at right is from a recent paper in Science by the same lead authors on their initial findings. There is enough anatomical jargon in the abstract to choke the "ventral emargination on the anterolateral side of the femoral head." At the request of Pima County Supervisor Richard Elias, the Green Valley Community Coordinating Council board voted last week to endorse the call from U.S. Reps. Gabrielle Giffords and Raul Grijalva for the Forest Service to effectively oppose the mine by recommending 'no-action' be taken on the mining plan. Meanwhile, the Forest Service is continuing to prepare an Environmental Impact Study for the proposal, which is expected to be complete about a year from now. Other ASU and UA researchers are also part of the project. 1) Assess meter scale features to facilitate selection of future landing sites on the Moon. 2) Acquire images of the poles every orbit to characterize the polar illumination environment (100 meter scale), identifying regions of permanent shadow and permanent or near-permanent illumination over a full lunar year. 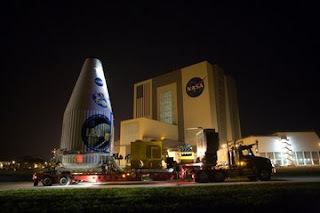 Webcasts of pre-launch activities and the actual launch will be available. K10 is ripping across northern Arizona volcanic fields now through June 27, at a dazzling 2 mph, probably not fast enough to get in trouble with the state's photo radar speeding units. 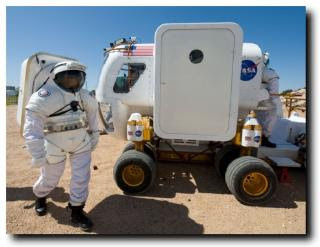 The robot recon exercise is a precursor to manned missions to the moon in 2020. Robot recon uses a remote controlled robot to scout areas before sending humans on deployments, especially for geological investigations. The K10 robot [right, deployed in Arizona. Credit, NASA] is equipped with a GigaPan camera and 3D scanning laser that will provide extremely high-resolution images and measurements. Kip Hodges, head of ASU's School of Earth and Space Exploration, is the Principal Scientist for K10 project. AZGS geologists are completing mapping of the Holocene deposits along the Verde River for the Arizona Dept. of Water Resources. In the picture at right, Dr. Mike Conway fords the river between Horseshoe and Bartlett reservoirs. [photo by Joe Cook]. Additional mapping is being done along tributaries. 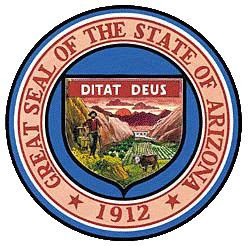 The Arizona Dept. of Fish & Game assisted our field team getting around Bartlett reservoir in their pontoon boat. The maps will be used by ADWR in adjudication hearings on rights for groundwater versus river subflow. After 27 years at the UA Lunar and Planetary Laboratory/Department of Planetary Sciences, Regents Professor Jay Melosh is leaving to for a position at Purdue. Jay's is internationally known for his work on impact cratering, planetary tectonics, and the physics of earthquakes and landslides. His UA vitae also lists that his recent research includes studies of the giant impact origin of the moon, the K/T impact that extinguished the dinosaurs and the ejection of rocks from their parent bodies. Jay is a Fellow of the Meteoritical Society, the Geological Society of America, the American Geophysical Union, and American Association for the Advancement of Science. He was awarded the Barringer Medal of the Meteoritical Society in 1999, the Gilbert prize of the Geological Society of America in 2001, and the Hess Medal of the American Geophysical Union in 2008. He was a Guggenheim Fellow in 1996-1997 and a Humboldt Fellow at the Bavarian Geological Institute in Bayreuth, Germany, in 2005-2006. Asteroid #8216 was named “Melosh” in his honor. He was elected to the U.S. National Academy of Sciences in 2003. 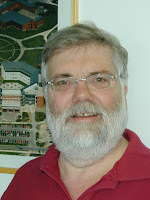 He has published approximately 170 technical papers, edited two books and is the author of a major monograph, Impact Cratering: A Geologic Process. He is currently preparing a new book “Planetary Surface Processes” under contract to Cambridge University Press. A farewell reception is set for Monday, July 27, 2009, at 3:30p.m. in the Kuiper Space Sciences atrium. Please RSVP to Mary Guerrieri by Tuesday, July 21, if you plan to attend. The Salt Lake Tribune reports that the Republican energy plan released earlier this week calls for allowing "the creation of 100 new nuclear plants and spur uranium mining on the Arizona-Utah border," as well as fast-tracking oil shale development, Arctic drilling, and development of renewable energy. 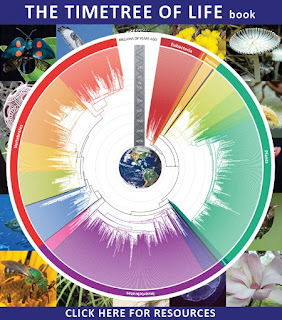 Biologists Sudhir Kumar of Arizona State University and Blair Hedges of Penn State University launched a new web-based tool, TimeTree, that compares the genes between different taxa to find the published geologic times of divergence for the evolutionary split between them. They report that it now contains data from all organisms and most studies published up to the end of 2008. 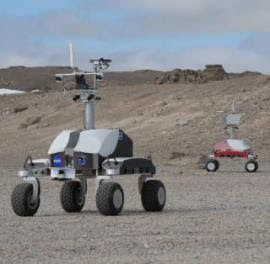 NASA's K10 lunar robot [right, credit NASA] will be roaming around the Black Point Lava Flow in Northern Arizona next week but the robot recon will be operated remotely from the NASA Lunar Science Institute at Ames Research Center at Moffett Field in California. The test procedures are designed to plan field work by astronauts driving the "Lunar Electric Rover" when we return to the Moon. They say that company President and CEO David Salisbury will testify along with Rosemary Shearer, Executive Director of the Superstition Area Land Trust. A live webcast of the hearing will be available on the morning of June 17 through the Senate Natural Resources Committee’s website at http://energy.senate.gov/. 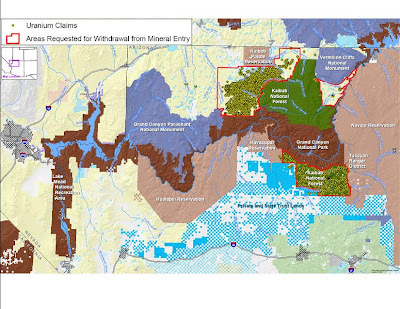 The pair argue that the withdrawal violates the spirit of the 1983/84 agreements on wilderness designations in the region, which they say ensured "that the Grand Canyon watershed was fully protected and allowed mining and grazing to continue in the remaining areas of the region." They also say that research by the USGS and preliminary research by UA scientists confirm that "uranium exploration and mining pose no threat to the Grand Canyon watershed or to the Park." To break the impasse, the pair is calling for a National Research Council - National Academy of Sciences review of the objective basis to withdraw the lands. A bill that will make sharing of geospatial data from state agencies easier is set for a hearing in the Arizona State Senate on Monday, June 15 at 1:30 p.m., by the Senate Committee on Natural Resources, Infrastructure and Public Debt, in SHR 109. 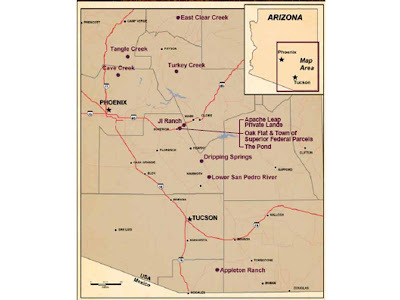 Senate Bill (SB) 1318 (geospatial data; geographic information council - Sen. John Nelson) would establish the Arizona Geographic Information Council (AGIC) in Legislation and reduce restrictions on making GIS data available publicly. Existing laws require agencies collect unspecified fees from potential commercial use of state-generated digital GIS data. As a result, many agencies have declined to make their data available because they could not provide guarantees that commercial use could be controlled and charged appropriate fees. AGIC currently operates under a gubernatorial executive order. Last year, legislation would have put AGIC into statute and move it to the AZGS. While that bill died in committee, it prompted the GIS community to examine the benefits of statutory authority. AGIC has endorsed SB1318. The new fact sheet on copper released today by the USGS shows a startling trend over the past decade. China, which at the turn of the century was consuming less copper than the U.S., is now using at least 2 and half times as much as we do. This is an indication of the rapid economic develop in that country and the pivotal role it now plays in affecting the global price of copper. Arizona produces 60-65% of the copper used in the U.S. but prices are increasingly responsive to demand from China and India. Commodity analysts are trying to discern when China is buying copper to stock its reserves at a low price, or because economic growth is creating more consumption. proposal to withdraw 1.1 million acres of federal land from all future mineral location [right], entry and development would violate the spirit of a historic agreement between the mining industry and the environmental community as embodied by the Arizona Wilderness Act, and begin to unravel decades of balanced, responsible resource development and wilderness protection near Grand Canyon National Park. the mere threat of a withdrawal has had effects similar to the consequences of closing these lands to mining. For example, banks are growing reluctant to lend money for mineral exploration and development and the mining industry is hesitant to commit financial capital to projects. The kind of heavy-handed government interference your bill proposes would also likely make subsequent validation of existing mining claims problematic. 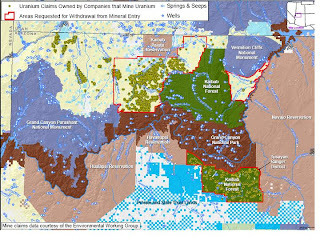 It strikes me that these latter problems are exactly what opponents to uranium exploration in the area are hoping to achieve, so Mssrs Kyl and McCain's letter just acknowledges their success. Steve Ayers is quickly becoming the most prolific newspaper reporter of geologic-related stories in Arizona. 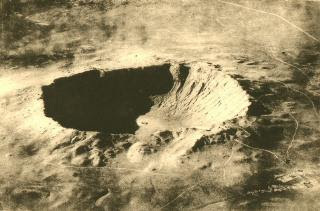 His latest piece in the Verde News is a history of the Camp Verde meteorite. It was reportedly discovered by a pot hunter who uncovered a burial cyst in ~800-year old Sinagua ruins above West Clear Creek in 1927 (although some sites say it was 1915). 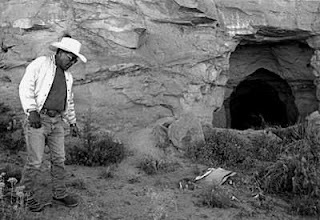 Wrapped in a feather blanket was the 135 pound piece of iron that ultimately was determined to be part of the Canyon Diablo meteorite that created Meteor Crater. It was named the Camp Verde Meteorite by famed meteor collector Harold Nininger who acquired it in 1939 and eventually sold it along with his large collection, to ASU, where it sits now. Archeologists speculate that the presence of the meteorite so far from where it apparently impacted, is evidence of the indigenous peoples respect for the object, something supported by it's reverent burial in the ruins. A large piece of the Canyon Diablo meteorite that created Meteor Crater in Arizona is now on display in the lobby of Lowell Observatory in Flagstaff. 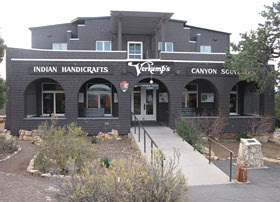 The 535-lb chunk had been on display at Verkamp's store and visitor center [right, credit National Park Service] in the Grand Canyon until its recent closure. There's an enigmatic story in today's New York Times Green Inc. section, discussing a report released back in March about the potential for oil shale development in the Colorado River basin to compete for water resources, possibly forcing lower basin states like Arizona to legally call for their senior downstream water rights. 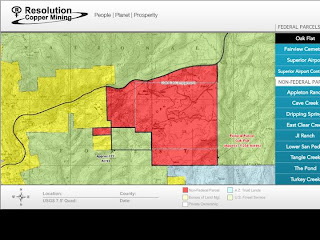 Todays Arizona Daily Star reports that Augusta Resources wrote to its stockholders to describe their plans to raise nearly $900 million to develop the big copper deposit in the Santa Rita Mountains south of Tucson. The newspaper provides some facts and figures about the size and economic impact of the proposed mine. There are “Big Ideas” and supporting concepts that all Americans should know about Earth sciences. These are laid out in a new guide published by the Earth Science Literacy Project and the National Science Foundation. testable ideas to understand and explain our planet. BIG IDEA 2. Earth is 4.6 billion years old. BIG IDEA 3. Earth is a complex system of interacting rock, water, air, and life. BIG IDEA 4. Earth is continuously changing. BIG IDEA 5. Earth is the water planet. BIG IDEA 6. Life evolves on a dynamic Earth and continuously modifies Earth. BIG IDEA 7. Humans depend on Earth for resources. BIG IDEA 8. Natural hazards pose risks to humans. BIG IDEA 9. Humans significantly alter the Earth. 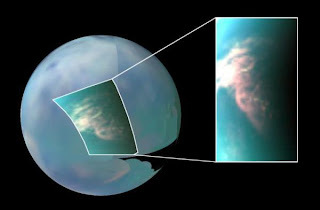 The science team on NASA's Cassini mission to Saturn's moon Titan say that body has clouds that form and move like those on Earth but much slower. The probe's visual and infrared mapping spectrometer team is from the University of Arizona. The video is a 5-minute BBC overview of Titan's active geology with great graphics. 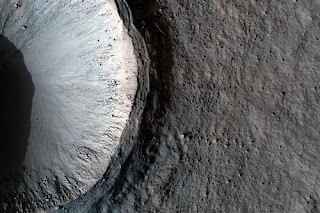 One of the new images from ASU's HiRISE camera on the Mars Reconnaissance Orbiter shows exquisite detail of a fresh impact crater. I continue to be mesmerized with the beauty of these images. 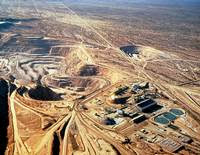 The Asarco bankruptcy court yesterday "approved a $1.1 billion environmental settlement between the mining firm and federal and state agencies," according to a story in the Arizona Republic. This will resolve $6.8 billion in claims and sets the stage for resolution of the competing bids to take over the company. 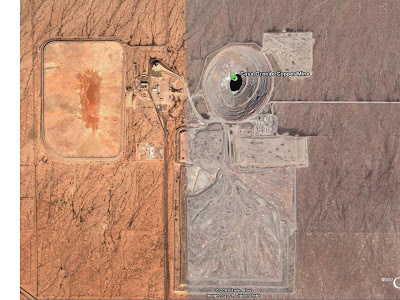 The paper reports that "Asarco will pay $30 million to clean up three sites in Arizona: the Sacaton open-pit copper-mine site near Casa Grande [right, credit GoogleEarth] in Pinal County and the Salero and Trench mine sites near Patagonia in Santa Cruz County." 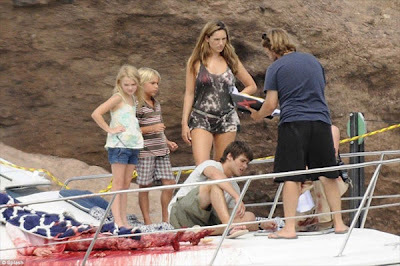 The horror film web world has been mesmerized with fan photos of the shooting of the movie Piranha 3D in Lake Havasu. In the film, an earthquake releases prehistoric piranha through the floor of fictional Lake Victoria during a packed holiday weekend. These shots are from DreadCentral.com courtesy of Splash News. That's actress Kelly Brook at far right, apparently after her encounter with the ravenous prehistoric carnivores. I guess after a few million years trapped under the lake bed, they are ready to eat everything in sight. The 5-year, $5 million project is headed by the Intermountain West Geothermal Center at Boise State University. Other members of the coalition are Univ. of Utah, Oregon Institute of Tech - Geo-Heat Center, Stanford Univ., US Bureau of Land Management, USGS, Great Basin Center for Geothermal Energy, and the Geothermal Energy Assoc. 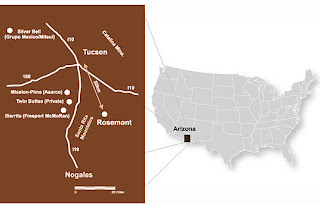 The Arizona Geological Survey is a partner acting on behalf of the Association of American State Geologists, and will lead the work to develop system integration, data access and discovery, and ensure interoperability using the Geoscience Information Network - GIN. Other partners are providing data content and desktop applications to use the GIN functionality. Project start-up is expected by July 1. GIN is a collaboration among all the state geological surveys and the USGS to create a national, distributed, interoperable data network for the geosciences, using open-source standards and protocols. AZGS is building GIN with funding from the National Science Foundation and USGS and in collaboration with OneGeology-Europe, San Diego Supercomputer Center, EarthChem, and a number of corporate partners. Last week, President Obama announced an additional $30 million is being made available to support a National Geothermal Data System, Resource Assessment, and Classification System, as part of a larger 4-part $375 million geothermal initiative (http://www1.eere.energy.gov/geothermal/news_detail.html?news_id=12541). The DOE funding solicitation was released this week and it requires that all geothermal data collected under this program be integrated into the NGDS and data that are collected/developed must fit the prescribed metadata format of the NGDS. We have a utilitarian project web site online for GIN while the more sophisticated interactive site is under construction. The Sierra Club's Sandy Bahr says they support a mixture of renewable energy, including solar, "But we're not in favor of paving the desert with mirrors." The Arizona Republic today reported on the land rush for solar energy projects that I blogged about earlier this week. On Saturday, a land developer is holding what could be the first 'solar land auction' in Phoenix, offering 5 parcels totaling 2,000 acres. The "land rush" is being attributed to state requirements for renewable energy, state and federal subsidies, and targeted economic stimulus funds. BLM is working on a multi-state programmatic EIS for the solar applications, but it won't be complete for a year. Grupo Mexico amended its offer to take Asarco out of bankruptcy, to $2.9 billion, including $1.3 billion in cash and $1.3 billion put into escrow last week, the Wall Street Journal and others are reporting. Arizona geologist/musician Paul Jago describes his dual careers this way - "As to the relationship between geologist and musician, I am kind of like Happy Gilmore. I'd rather be playing music (hockey), but I'm really good at geology (golf) and lately, it pays the bills and treats me better." Jago, who works at a copper mine, is featured in a write-up in CHARTattack that talks about his new band Said Dog, and their debut album, Nothing, AZ. His fascination with geologic time shows up in his songs, according to the interview. The video below is from his former band, The Gandharvas, and their best-known song, The First Day of Spring. The word from Capitol Hill watchers is that the House Appropriations Subcommittee is readying to mark-up the Dept. of Interior budget for next year by next week, likely June 10. A plan is emerging to invest $35 million immediately into the USGS Cooperative Water Program to help make up for the shortfall in matches from state agencies. The Subcommittee, which is reportedly also concerned about stopping the degradation of the nation's stream gaging network now, is listening to the USGS advice to rebuild that network over a 3-5 year period, ramping up the program to $110M. It sounds like some of the funds they were considering putting into the stream gages could be diverted to the CWP without delaying an effective restoration of the gaging network.